It was announced recently that ABC just picked up Fresh Off the Boat, the first Asian-American TV show since 1994's All-American Girl starring Margaret Cho (which sadly only lasted one season). First of all, it's great that TV is finally starting to come into this century by embracing diversity. Secondly, it's time that we also start celebrating the great work Asian-Americans have already been doing on the small screen that has gone unnoticed, whose accomplishments--and departures--barely make an impact with mainstream media. For example, I find it interesting that the awesome Lucy Liu made her debut as a director of a recent episode of Elementary and it wasn't considered major TV news. Liu, an Emmy-nominated Chinese-American actress (Ally McBeal) who has been working in Hollywood for more than two decades, did an admirable job as a director of a particularly pivotal episode towards the end of this second season. But, even more praiseworthy, she's one of few Asian-American directors to helm a TV show (in which she also stars) on a major network (CBS). But still, no one seems to care about this. Similarly, while it's great that Indian-American actress Mindy Kaling has been lauded as a TV superstar and creator of her own show, The Mindy Project (FOX), Maggie Q (who's American-born with Vietnamese heritage) played the title role in Nikita on the CW for four seasons and I'm probably one of maybe five people who actually watched it. (P.S. I believe the entire series is now on Netflix instant, and that should be your next binge watch). But I'm happy to hear that Maggie's new show, Stalker, co-starring Dylan McDermott, has just been picked up by CBS and looks pretty badass. You can watch the trailer here. Fingers crossed that people watch it (and that it is actually badass). 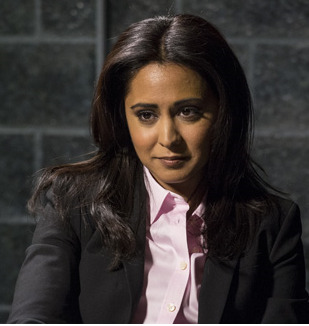 Then there's England-born, Indian-American actress Parminder Nagra, who has been making waves on The Blacklist this season up until this week's season finale when her character, Meera, was unfortunately killed off the show. Honestly, I was devastated when I watched this play out on screen. Granted, if you watch the show then you know that Meera was a mole and therefore a threat to the extremely ambiguous protagonists (played by James Spader and Megan Boone). But I was so happy that Nagra, who has yet to get her due as a fine actress even after technically playing the lead in her breakthrough film, Bend It Like Beckham (the same film that coincidentally launched Keira Knightley's career), was on a good, smart show on a primetime network (NBC). It was a chance for her to continue the somewhat steady small screen career she carved for herself since her second big break on ER. And now she's no longer on the show. What's even more disconcerting, according to her IMDB page she has no other projects lined up. And I don't believe I even heard about her "circling" or "in talks" for any other projects, like I hear about with pretty much every other non-ethnic actress of equal or lesser talent. 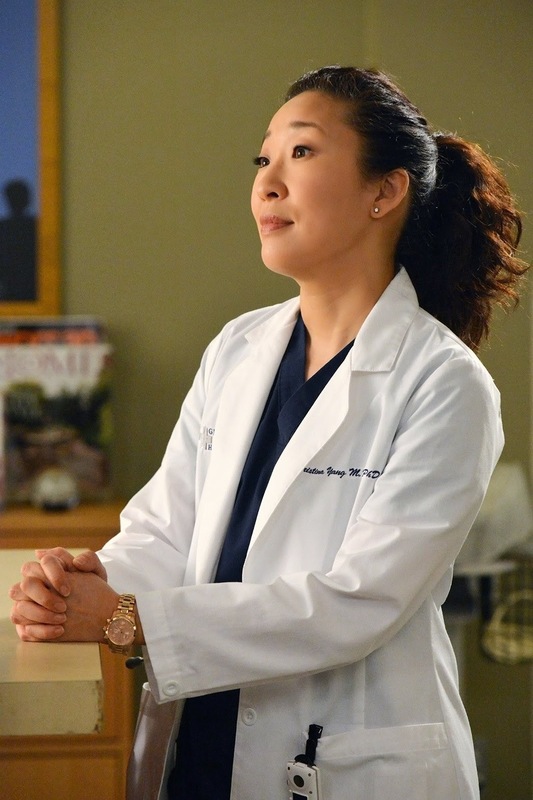 Which also reminds of Sandra Oh, whose final episode of Grey's Anatomy aired last night. While I have never watched this show, I know it is widely popular and a huge hit for ABC. So now the show's only lead Asian-American (Oh was born in Canada to Korean parents) is no longer on the show. I get it, after eleven years on a show it's natural that she wants to move on, and I would have zero concerns about her departure if Hollywood was handing out great roles for Asian-American actresses (or even actors, for that matter) left and right, but that's just not the case. Unlike Nagra, however, Oh does have two films lined up: 33 Liberty Lane and Melissa McCarthy's starring vehicle, Tammy (in which she will more than likely play a sidekick character, but hopefully I am wrong about that). Despite being in the business since the late 1980s, often playing peripheral, girlfriend-y characters on the big screen, she has yet to achieve the Hollywood status she deserves. That said, I really hope Shonda Rhimes (creator of Grey's Anatomy) isn't the only Hollywood heavyweight who invests in Oh's talent. Truth be told, opportunities for Asian-American talent for both men and women have been dire in Hollywood for a long time (The Walking Dead's Steven Yeun, who is Korean-American, is one of the very few leading men of the small screen who's got a dedicated fan base on a hit show. Similarly, Chinese-American actress Ming-Na Wen is breaking ground as one of the leads on Agents of S.H.I.E.L.D.). But it will be interesting to watch Fresh Off the Boat and see whether it also brings attention to the many great Asian-American talent that too often fall under the radar. Here's hoping that this will help spark a new Asian-American revolution in Hollywood. Watch the trailer for Fresh Off the Boat here.